I think i had rant enough about YES4G, or maybe not, since i still had two parts of my FAQs to write about. Anyway, i cant say i totally dont buy the idea of YES4G. And I cant say that YES4G didnt do something interesting and groundbreaking. YES THEY DO SOMETHING VERY INTERESTING! One of the most interesting thing about #YES4G is their call and sms method. If you not already know, all your calls and sms is done in the condition when you are connected to the internet. Its not GSM, its not CDMA but its Wimax, internet. By what i mean anywhere, means everywhere you can get a good internet connection. This is evolutionary. 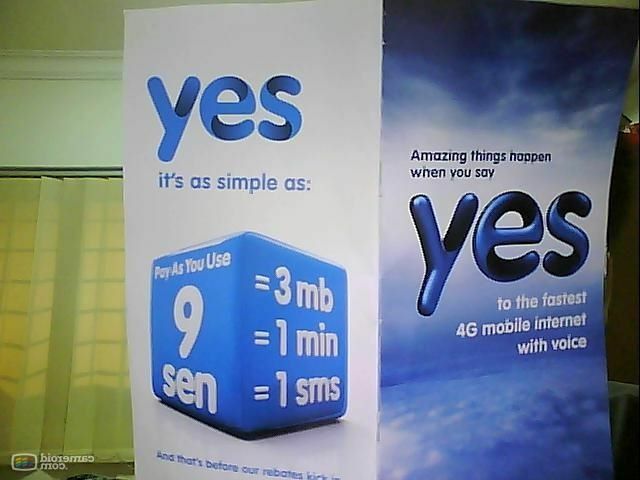 And always remember, since there is ONE and ONLY ONE price plan for #YES4G! 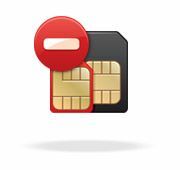 Why no sim card is interesting? No longer got 3 device need to pay for 3 bills. 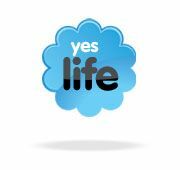 And you can easily switch from device to device by just simply downloading the Yes Life software and login. Today in malaysia, almost all ISP throttle the use of Bit Torrent. And if you dont know, P2P technology or bit torrent is not ONLY FOR pirated stuff. Its for GOOD also: Like starcraft 2 is distributed over the net via P2P protocol. So finally there is an ISP that stand up and PROMIST there is no throttling of the use of what you had paid for. 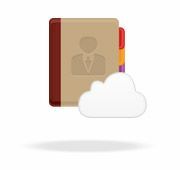 When you subscribed to #Yes4G, you can save all your contact over the cloud and it will be synced to all the device. This also means, although you have only one device, when you lost your device doesnt mean that you lost all your contact, since YES store your contact in their server and you can easily retrieve it back whenever you want. If you are at overseas, or if you got a family or friend that not in Malaysia, and they cant call back to you that frequent since domestic call rate is very expensive. And not everyone in malaysia are on Skype or always on skype. Simple solution is, get someone to register YES4G for him (or online registration might be opening soon), give him the ID, and he can start calling and sms to malaysia phone number with a super reasonable price. Not only like that, i believe if he doesnt got a chance to use the Yes4G Data, i think someone can “help” him use the data since there is a RM30 commitment and you dont want to use it right! Haha, pretty good. Might get one YES4G for my brother when he go further his study in UK. This use case is perfect for my brother. I hope soon the KTM rail will be covered also. Because then geeks on a train will be easier and more fun! So YES4G is not that bad also right! You can get benifits from the YES4G service. But i seriously hope they will get better (pricing) when time goes on and they read more feedback. Well, i have two more chapters of FAQs to write. Hope i can publish them tomorrow or in near future. So do you want to say YES to YES4G? Dude was fired from YTL hence the bitterness.